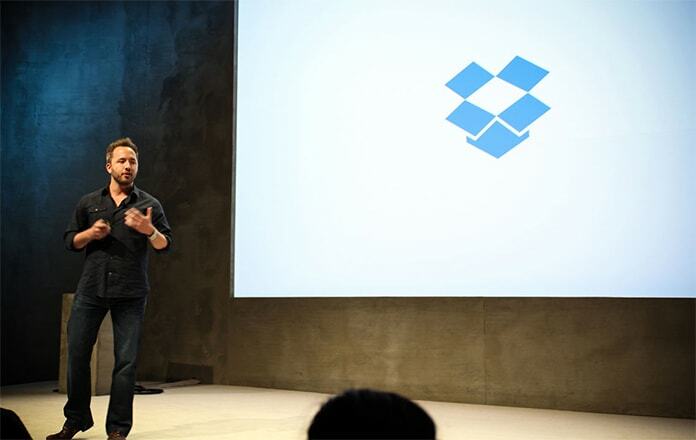 Dropbox is a vital app in times of excessive storage for file and documents. You can install Dropbox on your Mac, Windows, Linux, iOS and Android device. You can also access your content online without installing the official app. 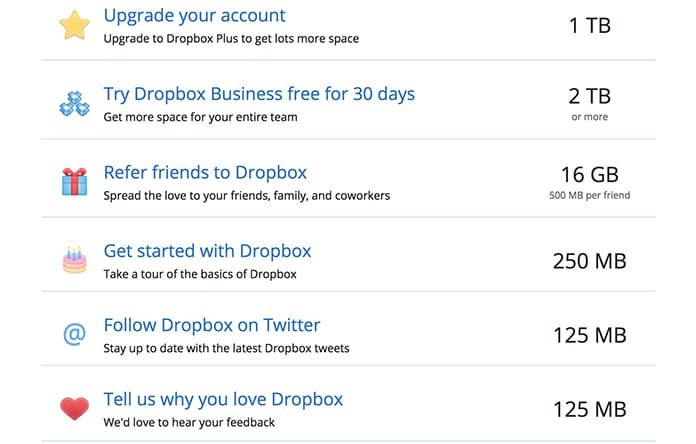 Here we will show you all the ways to get more Dropbox space free. The way it works is that if you share your unique link with a new friend, you get 500MB worth of space for every person that signs up and installs Dropbox. A special package is you can get 16GB of space by inviting 32 people, which is why you should share it on a social media platform and even install Dropbox on all your family members’ computers. A sneaky way of going about this is by setting up a Facebook account with the Dropbox logo as the profile picture, connecting it with Tinder and putting your link in the description. At some point last year, Dropbox took over the mobile start-up Mailbox so to get more Dropbox space (in this case 1GB) install the Mailbox app for iOS or Android and just link your Dropbox account with the app to have that gig. After receiving that 1GB, you can delete the app. 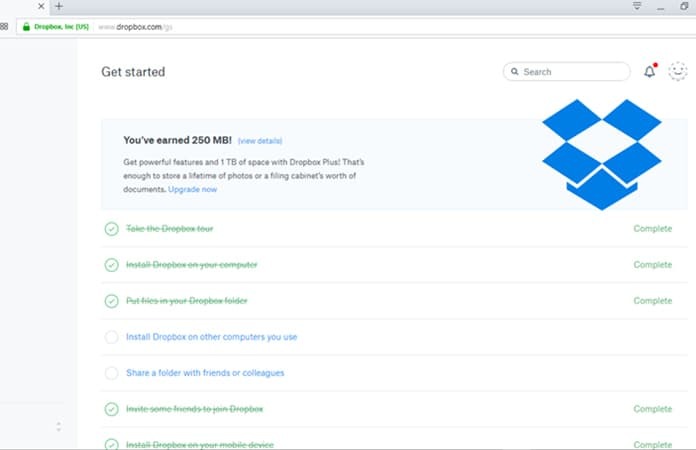 During the Dropbox keynotes, sometimes they give away up to 50GB of free Dropbox space to all people who visited the presentation. It’s not confirmed that they are giving away free storage space on every presentation. We read online that this happened in Germany, Netherlands, and US. So you can visit the next keynote and get free Dropbox space. You just need to complete five simple steps from the Get Started guide to get more Dropbox space for free and you can only avail these GB’s once. You will be getting an email for the free space you have received and you can’t avail it through multiple accounts. Seldom Dropbox launches different challenges for Dropbox users and you can get a hefty amount of 15GB’s off of it. These challenges are usually announced on the Dropbox blog so if you don’t intend on missing the upcoming Dropbox challenge. 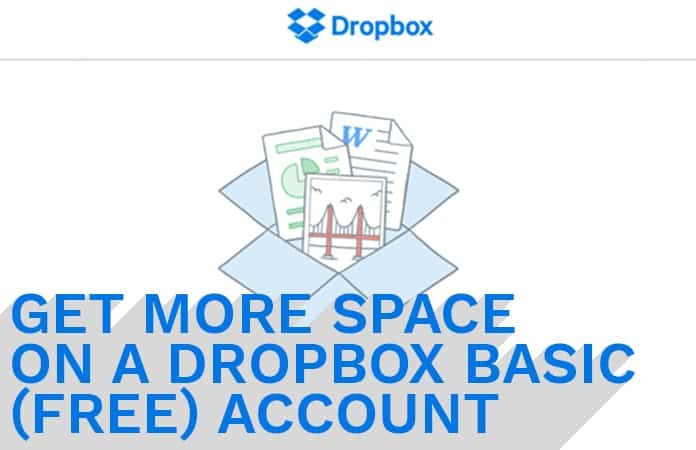 Hope the above step helps you to get more Dropbox space for free.